The Australian Freediving Association is a non-profit organisation dedicated to the sport of freediving (apnea). We promote recreational and competitive freediving, ratify National records, maintain Australian rankings, are responsible for National team selection and work towards the growth of freediving in Australia. We are the official Australian representative for the international governing body of the sport, Association Internationale pour le Développement de l’Apnée (AIDA). We are a not-for-profit company limited by guarantee (ACN 608 283 825), and have an expanding network of clubs around the country. The AFA also provides third party liability insurance for members undertaking freediving activities. The development of freediving in Australia. The standardisation of regulations in regard to education, safety, competitions and records. To strongly recommend that all agencies teaching freediving in Australia cover adequate safety procedures within their syllabus. The AFA will only recommend clubs, organisations, training groups and other agencies teaching freediving if the Committee is satisfied that a minimum safety standard is being taught. To arrange and co-ordinate competitions within Australia and promote participation by Australian teams in overseas competitive events. 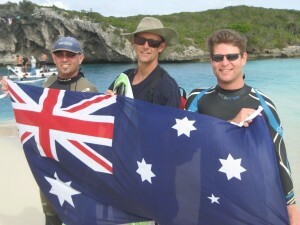 Selection of the Australian team for freediving world championships. The recognition, ratification and registration of records and achievements for the various disciplines of freediving. To act as the sole representative body for all Association members and Affiliated Member Clubs, negotiations and discussions with AIDA International, other national associations, or other organisations which have interest in freediving activities throughout the world. To further the interests of each and every Association member and Affiliated Member Club in Australia.